OK -- I just about popped a gasket when I saw this. The important points (where they chopped together "negative" things she said) are where she jokingly said the facilities in Russia were old and the bathrooms smelled, but then she went on to say how not upgrading keeps things safe, how that's different from the accidents that happen at NASA, which always upgrades with fancy and expensive, new equipment, and how much she respects those who went up and died before her is a point she emphasizes in two videos, if memory serves. And it's also about two years ago and before she was chosen as the final candidate. Before even that, they take a snippet where she said that she'd buy her mom a house if she got rich and famous, but that was 2 summers ago, and she also happened to say she'd give to science programs and help fund one at KAIST as an example to other Koreans of how to use that power. But that's not what you get in the video. And that's just where they abused MY footage. They've got more. OK, I'm not sure how the Korean law applies here to attacking a person and what defines the Korean equivalent of "defamation", I can't be the one who would sue them for that, even if that's possible. But I could get them for copyright violations. As far as I understand copyright law, you can excerpt segments for educational purposes as well as for critique, but my understanding is that you still have to attribute. Hmm. I'm foggy on this, and any help would be appreciated. As for the legitimate suggestion that I should just let things like this pass, I'd suggest you do a Naver search for 이소연 (Yi Soyeon) and look at what comes up in the video section. It's ridiculous. Or, you could check out the "Anti-Yi Soyeon Cafe" on Daum. It's amazing how much energy certain Koreans are putting into thinking about the monetary value of the space program all of a sudden, or are so eager to believe the ridiculous assertions that people are putting up. And now, they're even blaming Soyeon for the stupid questions SHE'S being asked by reporters, for example, how much she has swollen or gained 5cm in height. Those were stupid "issues" brought up by the idiotic Korean press corps, and now she's being attacked as if she was speaking out of vanity. Here's the article that will be up on Ohmynews.com either today or tomorrow, as it's getting translated. I think it says what I need to say, although my English version is a bit rough. They edited my repeated points down a bit. Hence, the advantage of having an editor. I'll link to the Ohmynews story here when it goes up. My goal here is to get the other angle on the Soyeon-attacks out there -- that it's totally misplaced, dishonest, and just vicious -- and look at the other issues that I think are mixed in here: how Soyeon's trip is actually stepping all over some very touchy Korean hotspots, as she violates certain rules of her gender, age, status, and even region, her being from Kwangju. This, on top of the intense levels of intense jealousy that one often sees displayed whenever someone receives something more than the rest of the group (I think it's important that she won a spot in an open contest, rather than come out of the Air Force as a test pilot or something equally elitist). I think a lot of things are coming together in and around Soyeon that would make for some very interesting international press treatment. Wow. As the maker of the "UCC" interviews of Yi Soyeon that have been going around the Korean Internet, I am a bit shocked and disappointed to see some people twisting Soyeon's frank and honest words made in a Shinchon coffee shop in 2006, before the marketing term "UCC" was even invented in Korea. Made by a foreigner (me), for a foreign audience (such shows are called "podcasts" in the US), she was far, far from being an "우주인." She was just my friend who had done well in this interesting contest, since she had made it to the final 30 in Korea's Astronaut program. Who could imagine where she would be 2 years later? At the time, I was interviewing interesting people in Seoul, and I had found her insider experience with this program interesting. If she made it to the final 2, it would be so great that it would be nearly unimaginable -- I just thought it was really cool to have made it as far as she had. And she herself said so. She was humble, and was so surprised and happy to have made it that far. She talked about her dreams, why she became interested in science, and how the process was affecting her life. And as she progressed through the process, of course we made another video, after she had made the final 10, and what was interesting to notice was how quickly she was maturing, how well she was growing into the role of great responsibility that was now becoming all the more real. By the third video, shot after she had made it to the final two, she had become much more serious about her role, because now, it had now become her reality. She would go through the training, and it was just as likely as not that she would go into space. I never interviewed her after the final decision was made, since I never had the chance and now, this was SBS's territory; I just found it poignant and fascinating to watch an everyday person grow into a public figure before one's eyes. But that's not how certain Korean netizens took it. Partially based on sloppy journalism as found in the in the Donga.com article called "우주인 이소연의 솔직한 지구인 이야기", her words were misquoted, twisted, and taken completely out of context to a point that even I had never even imagined. 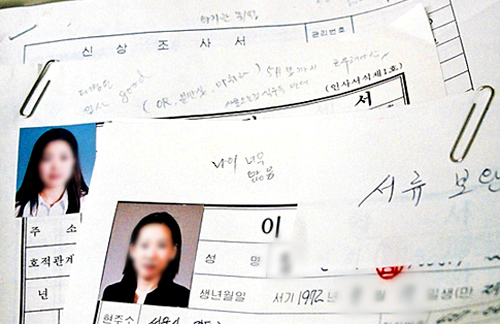 The DongA.com article merely misquoted her, emphasized certain aspects of what she had jokingly said in 2006 with the headline “돈 벌어 엄마한테 아파트 선물”, and did so did so without properly attributing the source of the video, which was readily available, so that people could judge for themselves. To just read the DongA.com article or the words of some Korean netizens after that, Soyeon had joined the space program to get rich. Or perhaps it was to promote this "UCC" -- a concept that did not even exist in Korea at that time (remember that the large media companies started pushing this marketing term around Auhust 2006) Or perhaps she was going to space just to promote my web site, which Soyeon also jokingly said she would support? But if you watch the interview from the beginning, you would know she didn't even know about which site that was. Firstly, it's amazing to see how little respect major UCC media companies and Korean bloggers have for copyright and intellectual property. Instead of taking my video and cutting into chunks that totally eliminate the context of much of what Soyeon actually said and how she said it, people should have just left the intact video as it was, so people could at least see for themselves. And I think, "Why cut out parts, especially when the other parts make the point you're trying to prove silly?" My point is, anyone presenting an excerpt from this video is suspicious. Simply watching the video, knowing when it was shot and why, you can see that the assertions being made by certain netizens are patently ridiculous. I shouldn't need to convince you. Just watch the video from beginning to end. Then, you would have seen that any comments about "what would you do if you make it?" were no more real to her than if I asked any of you "What would you do if you became President?" when you were a child, but then upon becoming an adult, it really happens. I'm sure if one does become president, one's choices and sense of responsibility would be far more serious than when you were just an everyday person. And this is just what Soyeon was when she sat down with me for a cup of coffee that day in Shinchon in 2006. If people didn't cut the video up into little pieces, you would see that this was a conversation between a FORIEGNER and her; you should also notice that the entire video was subtitled -- it's made for FOREIGN audiences, made BY a FOREIGNER. No one was interested in "UCC" in Korea at the time. No one was interested in Soyeon, either. In fact, most Koreans weren't even really interested in their own space program. But a few foreigners like myself found it interesting, and I decided to record her experiences in it. So the stupid conversations about "how will this look overseas?" are simply just that -- stupid. That firrst video was up on YouTube for about a year-and-a-half, and making very positive impressions about Soyeon as well as Korea far, far before the Korean audience learned about it, or cared. Perhaps this is telling: I put it on MNCast and Daum, and there was nearly no reaction. No one cared, and I didn't expect them to. Almost no one watched it. And the reaction on YouTube? Overwhelmingly positive. People remarked about what a great sense of humor she has, how humble she is, how intelligent her answers are, and how mature she seemed -- even from the beginning, far before she was actually chosen. The fact that she was a woman was a sign to most foreigners that Korean society was becoming more liberal and fair towards women, and even after the other candidate was initially chosen to go to space, all the foreigners I knew were rooting for Soyeon. Especially Americans, we like the underdog. Before Soyeon had even arrived in Russia, I had learned from the blogging community and people linking to my site that the NASA astronauts and people from other space programs had already seen Soyeon through the videos even before they had met her. What continues to both surprise and disappoint me is that Koreans are still so worried about "what foreigners will think" and still so steeped in 사대주의 that people wring their hands over a few words spoken in passing well before the fact, despite the fact that Soyeon has shown nothing but respect for the people who have come before her at Soyuz, whom she mentions as having died so she can go into space safely, who have developed technology that she has dedicated her life to helping develop back in her home country. Yet, context doesn't matter when you can simply attack someone out of spite or jealousy, right? 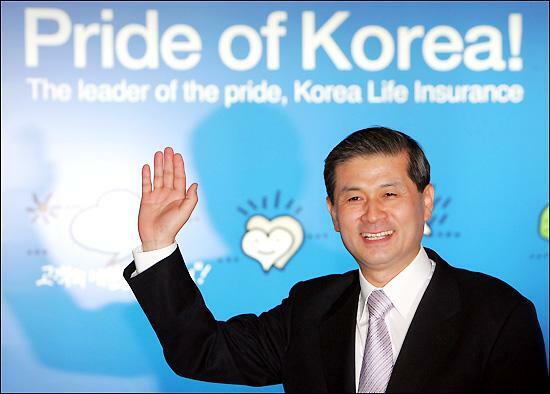 It seems to me that Korea is still so caught up in the psychological scars of bitterness over 사대주의, the national humiliation of having loss its sovereignty, the destruction and horrors of the Pacific and Korean Wars, followed by loss of freedom under dictatorship, rapid development and urbanization, along with the social problems created cutthroat competition for scarce resources, which has manifested in the education system, women feeling the social pressure to define their self-worth primarily through their appearance, and the drive to be first, first, first no matter what the cost, as we saw in the cases of the Sampung Department Store, Seongsu Bridge, Taegu gas explosion, or finally in the case of Hwang Woo-seok. But in the case of the typical "national hero", he was from the establishment, old, and a man. He "deserved" his fame, right? He fits the image of the national hero. It doesn't matter that he violated ethical protocols to do it. Who cares where the eggs come from, right? When it comes to the nation, it's still "하면 된다" right? And when he's a Seoul National University scientist, an older man with connections, and wearing a white coat, he is names "hero" before the ink even dries on the textbooks. And then "Korea" embarrasses itself. There's a huge unspoken message behind the attacks on Soyeon, and how my videos are being used (stupidly, I think, but they are, nevertheless). 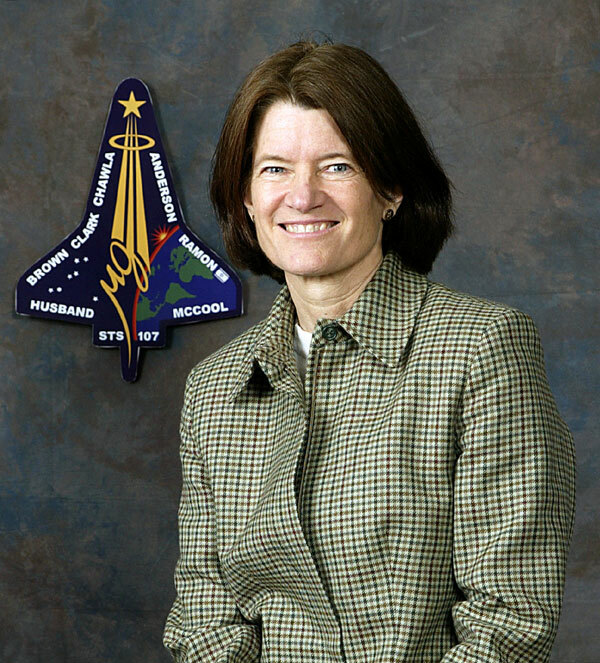 It bothers a lot of people that she got into space through a process that had been open to anyone, and that she won it fair and square. It bothers a lot of people that she's a woman. It bothers a lot of people that she's a YOUNG woman. And for certain people, the only place for a young woman is in high heels and behind a cake of makeup, shaking their shoulders and calling them "오빠!" These are the people who seem to be the most offended by Soyeon's mere existence. For Soyeon, I'm glad she wasn't chosen initially, and it was Ko San's own mistakes that got him disqualified. If she had been the first choice, I think the netizens would have been even worse: "Woman are too powerful" or "She was just chosen for PR because she was a woman!" Ridiculous, in a society that treats men like veritable kings, and a woman I know with a Ph.D. in the sciences was told by her mother-in-law to not work because it "would make her husband look bad." For certain people in Korea, for whom it is still the Joseon Era, Soyeon's success is very, very offensive, indeed. If people are really concerned, as some say they are, with Korea's national image, then they would stop behaving as they are, for the obvious reasons that they are. It is absolutely shocking to see how eagerly and viciously so many of her fellow Koreans try to tear her down. When YouTube came to Korea and opened its site, you know what appeared for the first time on Soyeon's videos? Statements appeared for the FIRST time attacking this nanotechnology engineer going up into space for "being too fat" or "having a big head" or just for the apparent crime of being a woman. You know what was the real "나라 망신?" It wasn't Yi Soyeon, but the negative and vicious words of her fellow Koreans, made in front of beweildered foreigners on YouTube. And I sometimes can't keep up with the 악풀, since I delete them. I wonder what the foreigners think of that? The problem isn't really anything Soyeon said -- it is really the fact that no matter what, so many of her fellow Koreans (especially men) are eager to attack her, eager to tear her down. The content isn't important; vicious netizens would have found something. I think Yi Soyeon represents some very sensitive points in Korean modern society, and is the point at which public notions about ability, fairness, and relative success converge with older notions of traditional related to age, gender, scholastic background, and yes, even regionalism. In short, Soyeon is young, female, outspoken, and obviously articulate about expressing herself frankly. Honestly speaking, how are such women generally regarded in Korean society? Are Americans perfect? Nope. But I think we have a sense of fairness about the people who become figures of public ridicule. Paris Hilton, Britney Spears, or any popular entertainers who make their own scandals, Americans tend to criticize, too. 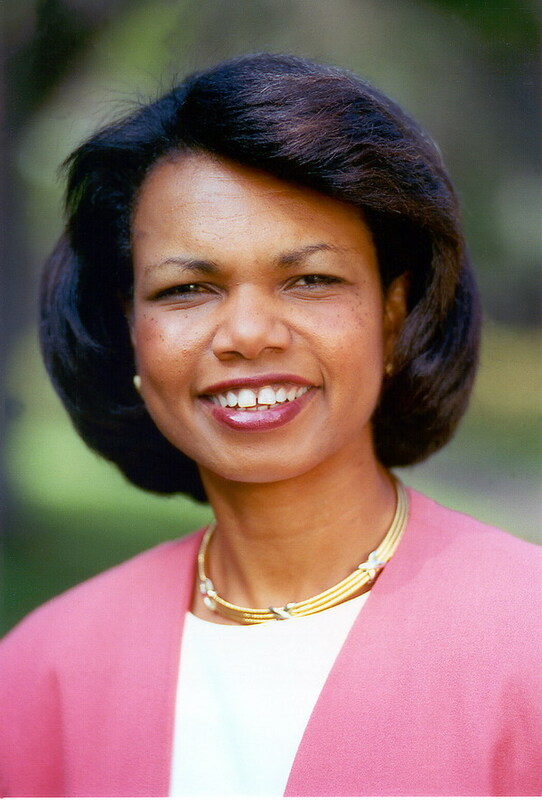 But do we attack Condoleeza Rice because of the gap between her teeth? She has one, you know. It's very apparent. But is that important to her job, though? When Sally Ride became America's first woman into space, I can't remember -- and I can't even imagine -- people talking about how she needs to be prettier, or "fix her face" or "she should get rid of her freckles" or something like that. Yet, the Korean media asks the dumbest questions possible on the short and expensive time communicating in space. When I heard about this question, "Which star would you most like to travel to space with?" I just shook my head in embarrassment. This is the level of the broadcast media? Korea should be thankful that Soyeon handled such an obviously stupid question politely when she replied that she would rather take someone qualified to perform experiments with. Korea and the Koreans who live here always seem so concerned with becoming "globalized" or "international" or the "hub" of something. But it takes more than just words and the simple desire to be something in order to make it so. It takes a real change in attitude, a fundamental change in the way of thinking -- not just installing more western-style toilets or sweating bullets worrying about speaking a few words of English to a foreign customer. What is really embarrassing to the nation? What should Koreans really be thinking about? It's the fact that there is such a strong desire to cut a figure like Yi Soyeon down because she's a woman, or young, or doesn't look like she's had thousands of dollars of plastic surgery. Or insipid questions such as the one noted above, asked in her ISS interview. Is the problem really that Soyeon doesn't take her ROLE seriously, or that really, even the broadcast media sponsoring her doesn't take HER seriously? So what is really ironic is watching Soyeon's fellow Koreans abusing her in public on YouTube, while foreigners scratch their heads. These comments call her ugly, fat, a "disgrace to the nation." Yet, our impressions of Soyeon are fine. They are great, actually! In fact, they've been great for nearly TWO YEARS. The only thing that is sad is watching Koreans tear each other down for nothing. This is the only country I know of where netizens drive their stars to suicide. Several times over, in fact. What is driving this incident isn't anything Soyeon said, but the sheer, pathological desire of certain netizens who have already decided to hate her for no real good reason, other than petty jealousy and traditional prejudices. Really, only in a culture such as this can the old maxim hold true: "If a cousin buys some new land, my stomach hurts." Now, this is being played out on a national scale, since this was an open competition, and technically, any Korean was eligible. Now, old social prejudices related to age, gender, and region have mixed with new ones related to the hyper-commercialization of nearly everything in Korean society, including the commodification and over-sexualization of female bodies that was embarrassingly pointed out having the South Korean president make his appearance at the space launch ceremony surrounded by young women in tiny skirts, who asked all the questions. 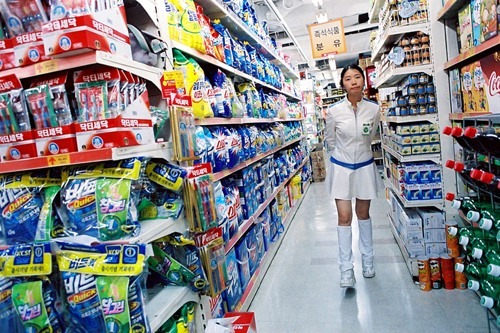 Is everything in South Korea made more palatable by extremely young women in miniskirts? From a new bakery opening in the neighborhood, the girl selling toothpaste in the grocery store, all the way into space, apparently, a lot of South Koreans seem to think so. Frankly, I think Korea's first astronaut would have gotten less flak if she simply was another plastic surgery toothpick with a magic perm, rather than a nanotech engineer from KAIST with a Ph.D.
What is even sadder than a cynical statement like this is the fact that I actually believe it to be true, given a lot of the comments I've read about her, which reveals the deep-seated prejudices and bitter jealousies that many South Koreans seem so eager and willing to display whenever they get the chance. To me, many South Koreans need to think about whether they want to live in the past, along with all the scars and wounds that it has produced, or a future without such petty jealousies and horrible rancor against anyone who seems to be getting ahead of oneself in the hyper-competitive rat race of Korean life. Until then, the horrible words many South Koreans aim in Soyeon's direction will continue to bewilder many foreigners who see nothing but a spectacular candidate and a great representative for the Korean nation. It's too bad that today's reality is, at least on the global level and Korea's international image, the worst enemies of Koreans are Koreans themselves.